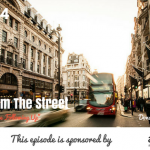 TSE 707-How Can I Get My Sales Team To Following Up"
One of the things many sellers hate doing is following up. In fact, it’s almost as worse as prospecting. We don’t like it at times. It’s probably because they’re afraid of doing it. But people actually have different reasons they don’t do it. So today, I’m going to share with you three things you can do to help you improve your follow up process. Sometimes, we don’t even have that process. We just wing it. Nothing will progress without commitments or without some kind of forward motion. 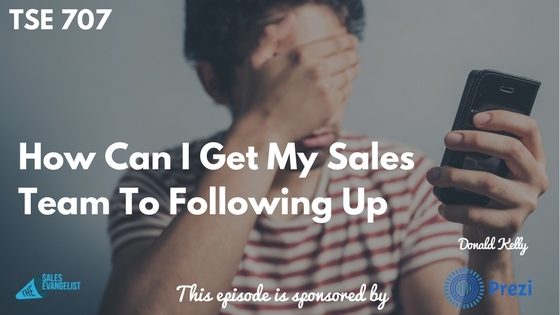 Don’t send emails saying you’re “just following up.” That’s a generic type of email. Talk to them as a human being. Otherwise, they’ll just ignore it. So you need to get the commitment before the next meeting. Put something on the calendar. And just listen until they respond. If it’s an email, verify their email address. Try to find someone you can recommend for training that can come into their HR or finance organization for instance. Try to connect them with someone who can potentially help them. Set out an introduction email between them. You can follow up with someone else without saying you’re just following up. Tag them to an article or any relevant post on social media which you think may benefit them. 3. Have a sequence or process. Figure out the different milestones in your sales process. And on each stage of it, figure out something you can send to them on each stage of the process. Be it blog post or testimonial or video, be creative. 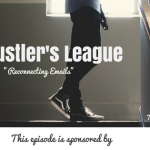 Share this podcast. See, you’re not pushing your agenda but you’re just trying to grab their attention. Think outside of the box. Think like a human being. Think what you would like to receive. Make things personal. Tired of the same old, boring PowerPoint decks? Use Prezi Business and your presentations will never be the same. Tell your story the way you want to tell it.